JULY 13--Before he became "legendary" for his brutish reign as owner of the New York Yankees, George Steinbrenner was a Watergate-era perp looking to snitch out others to curry favor with federal prosecutors. Steinbrenner, who died today at age 80, pleaded guilty in 1974 to a felony conspiracy charge (and a misdemeanor accessory after the fact count) stemming from his illegal contributions to Richard Nixon's reelection campaign. Before admitting his criminal behavior, Steinbrenner offered, through attorney Edward Bennett Williams, to provide Watergate Special Prosecution Force lawyers with testimony about other illegal donations to Nixon, as well as the sale of ambassadorships. Williams told investigators that Steinbrenner "had intended to obtain an ambassadorship for someone else" in return for funneling money to the Committee to Reelect the President, or CREEP. Steinbrenner's snitch offer was detailed in a memo, a copy of which you'll find here, prepared by prosecutor John Koeltl. Steinbrenner's "offer of proof" came after investigators told Williams that they were interested in details of "improper influence" resulting from contributions to Nixon, and other crimes related to political fundraising. A December 1973 memo notes that Williams told investigators that Steinbrenner, who "had already suffered a great deal," was ready to cop to a felony charge. Williams described his client as an extortion victim who had delivered money to CREEP "out of fear." Prosecutor Leon Jaworski--not buying this claim--pushed Williams to address instances in which Steinbrenner "asked his employees" to lie to FBI agents probing illegal contributions to Nixon. 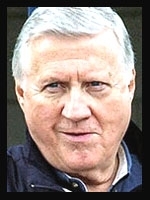 "Williams replied that Steinbrenner denies subporning perjury and denies obstruction of justice," Koeltl wrote.